The park is open only to visitors on Saturdays and Sundays from 10 a.m. to 2 p.m. and now, a new policy further restricts the amount of time visitors can spend there to 30 minutes. Visitors were previously allowed to spend as much time in the park as they wished. Additionally, only 10 people at a time will be allowed in the park. 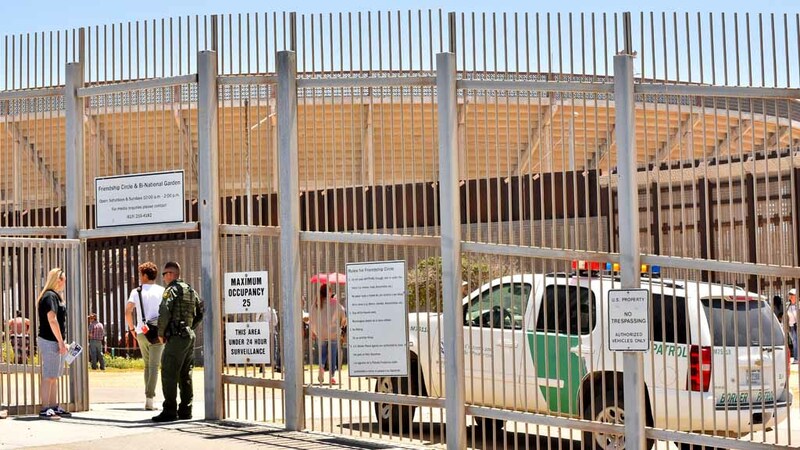 “The U.S. Border Patrol is committed to ensuring the safety and security of those who visit Friendship Circle,” a spokesman for the agency said. Other new restrictions include the prohibition of any photo, video or audio recording inside the park without permission and a ban on public access to the Bi-national Garden. The agency did not specify a reason for the changes, which are the latest access restrictions at the park. Border Patrol earlier this year announced they would stop opening the practice of periodically opening the “Door of Hope” that provides an opening between the U.S. and Mexico, which had allowed family members on either side of the border to reunite for hugs. The move came after a surprise wedding was held in November at the border between an American man and a Mexican woman. 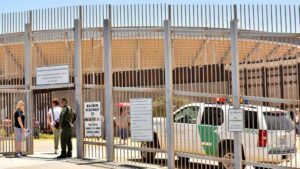 The groom’s criminal record surfaced and raised questions about the vetting process for such events, which were coordinated between the nonprofit Border Angels and the Border Patrol, according to The San Diego Union-Tribune.